I spent my life growing up living overseas, I speak the language, I have friends all over the world. I relate to the pirate persona very well. I'm working now on expanding my garb wardrobe. I have a red and black color scheme that I'm adding earth tones to as well. My question is; when I want to garb up formal what dresses would fit a pirate, say, for a masquerade ball, or for a day when I just want to look more lady-like? Well... something plundered from a "Lady"'s trunk, I would think! Perhaps with a well-fitted greatcoat over the top of it? This query might get more replies on the Garbing boards, perhaps? 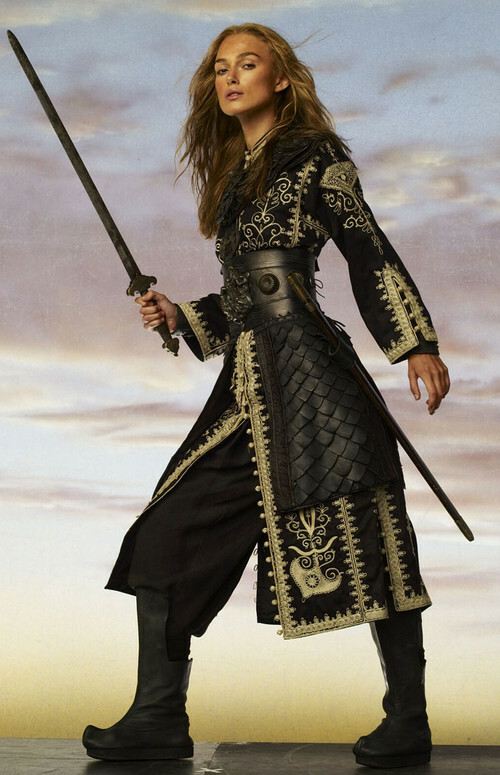 It just occurred to me that THIS would be wonderfully formal with a full split skirt, forepart, petticoat and smallish hoop (nothing you couldn't fight or escape in, if the need arose, of course)... and perhaps just a touch of lace at the cuffs, to show that you are, indeed, a Lady Pirate! No need for the leather armored skirting, though, surely. It blocks the view of all that wonderful embroidery on the coat skirting! Oh, and I think maybe just a bit more fullness to the skirt of the coat, as well, to give it some "swish", yes? And maybe a tone-on-tone brocade waist cincher, instead of the leather, to give a more formal look, as well. Or something "cut-away", such as this (with more "period" fasteners, of course)! It would show a skirt off to lovely advantage, and still give the nod to your pirate persona. I still think the skirting needs a gore or two, though, to help it flow a bit. Oooh, I love both of those! 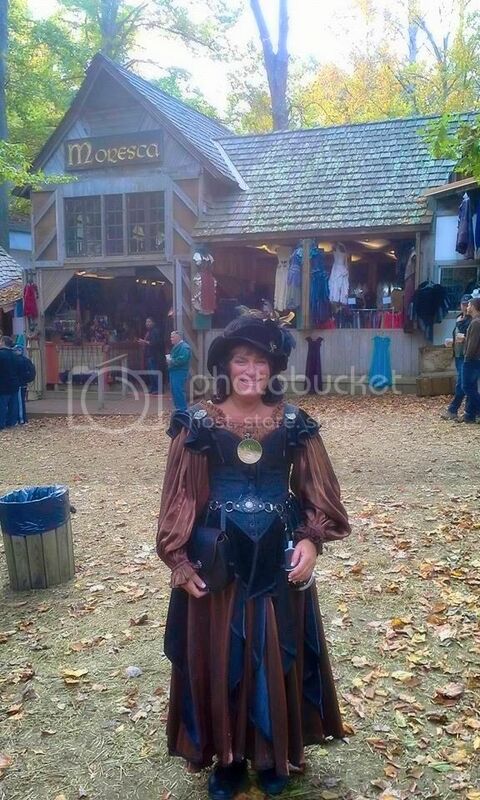 I think I could alter the pirate coat I'm making now into one like the black and red one. I'm almost done and will post a picture on the sewing board when finished. Thank you for the ideas! I look forward to seeing what you end up choosing! 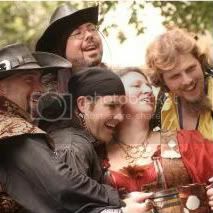 Check out www.dresslikeapirate.com for ideas on your lady pirate persona.